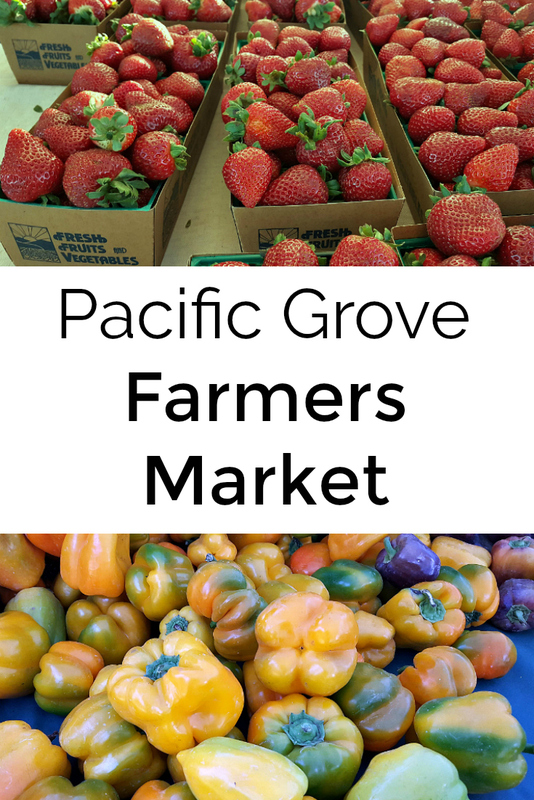 I was excited to learn that I'd be able to visit the Pacific Grove Farmers Market, when I was traveling in the area. It's my habit to look up markets, so I can plan activities for my trip. 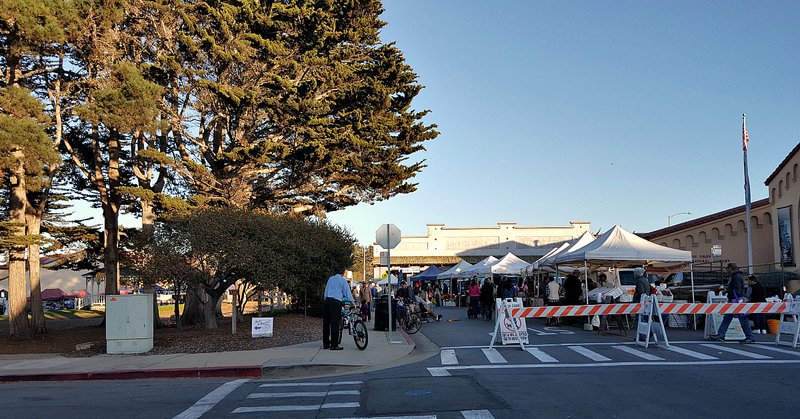 Fortunately, I had planned on a Monday in Pacific Grove, which is when they hold their weekly market. This is a large market that is good for shopping, but is also a community gathering place. 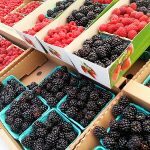 There is a certified section with fruit, vegetables and flowers from local growers, and there are other sections with prepared food and other products for sale. Several streets are blocked off, so that vendors can set up their tents. The adjacent park is open for kids to play and for people to hang out and eat and eat their dinner while enjoying live music. 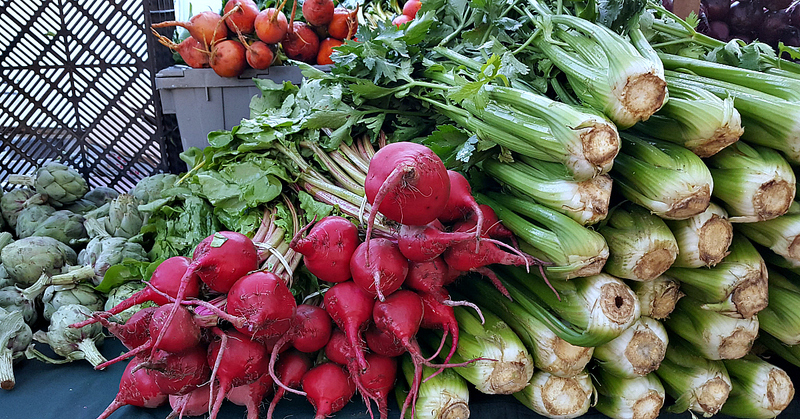 Anytime of the year is good for fresh produce in California, and I found a beautiful assortment at the market. There is enough available that it would be easy to make this your one stop shopping for the week. 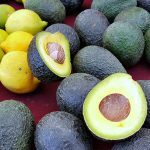 Visitors will find plenty to buy that can be enjoyed immediately and may find some souvenirs to bring back home. Street parking is available and in short supply, especially in the evening. 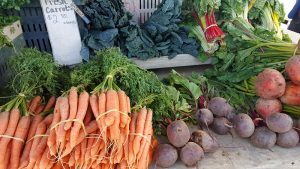 If you’re planning on purchasing a lot, you may want to bring a rolling cart or wagon to carry your purchases. I’d gladly come back to this market on another trip to the area. I’d definitely be a regular, if I lived nearby. 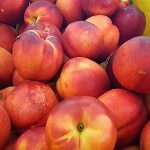 Also, check out my other farmers market articles , and take advantage of these deals on Pacific Grove hotels.